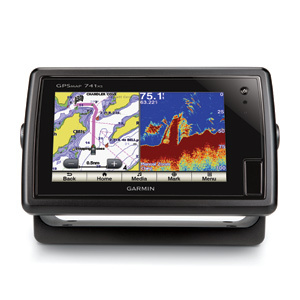 It seems like Garmin is getting close to shipping the Garmin GPSMAP 500/700 Series and the Echomap 50/70 series. Today the manuals went online on Garmins website. The manuals for all the devices have been compressed into one manual covering all the new low end products. But it seems like the manuals are not really final – and not really up to the usual Garmin standard. And slight annoyance – Garmin has still chosen NOT to let their “small” devices get GPS position from external NMEA 2000 antenna. You can attach an external DUMB antenna – but not use external NMEA 2000 antenna Garmin – please – open up the PGNs so we can use the antenna’s we want. It is not that hard. Especially since you do not have any other interesting GPS systems before we reach the GPSMAP 8000 systems starting at $4200.